The CPT has published a report on its recent 2017 visit to Hungary, assessing the authorities’ implementation of the Committee’s previous recommendations, as well as in review of the practice relating to the recently amended aliens legislation. In its response to the report the Hungarian government denounces findings as factually wrong and politically motivated. The delegation visited several establishments, including police facilities and the two transit zones (Röszke and Tompa) at the border with Serbia, and held meetings with relevant national authorities. The Committee has noted that material conditions in the border areas are “decent”, but stressed the need to redesign the transit zones spaces in an effort to remove their carceral character and address overcrowding. Regarding asylum procedures, the Committee voiced concerns regarding the efficacy of the asylum framework in providing guarantees against “push-backs”. General medical screening of the population in the transit zones seems to have been improved, but the handling of mental health and age assessment cases was found to be substandard. 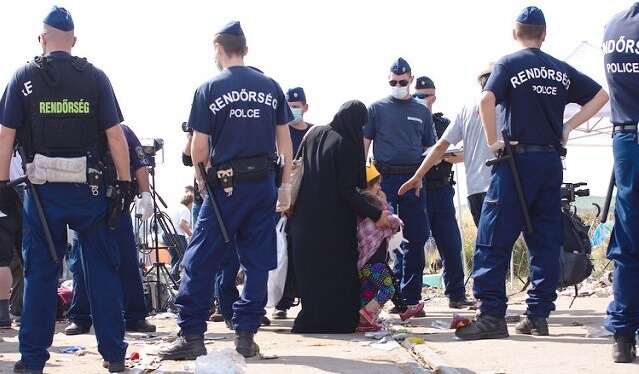 The frequency and consistency of these allegations and the medical evidence leads the delegation to conclude that “it is beyond doubt that irregular migrants apprehended by Hungarian police officers run a risk of being subjected to physical ill-treatment, contrary to “the prohibition [of] ill-treatment of detainees.” Further the report concludes that the systematic push backs by Hungarian police of foreign nationals exposes them to refoulement, including chain refoulement. Hungary has recently been at the centre of EU infringement proceedings, for non-compliance with EU law, especially regarding asylum and return procedures. The country was recently referred to the Court of Justice of the European Union by the European Commission, while the Article 7 sanctions procedure was also triggered last week after an EU Parliament vote.